By Gerald D. Buckberg, M.D., D.Sc. Written for the general public, Solving the Mysteries of Heart Disease reveals the lifelong journey of a world renowned cardiac surgeon and researcher, whose proven discoveries will alter the treatment of diseases of the heart in millions of people worldwide. It reveals a personal unstoppable quest for answers that have consistently eluded medicine. Overcoming formidable odds and initial failures… it is the story of the highest of triumphs… which are matched against the greatest of frustrations in their not being accepted. Acknowledged with the highest awards in his field, Dr. Gerald Buckberg was a Distinguished Professor of Surgery, Division of Cardiothoracic Surgery, at the David Geffen School of Medicine at UCLA. His initial landmark research increased the safety of open heart procedures, transforming these formerly high-risk operations into the routine procedures they are today, with over 25,000,000 patients already having benefited. His techniques are currently used by over 85% of cardiac surgeons in the United States and 75% of surgeons globally. Dr. Buckberg and his teams continued to pioneer breakthroughs that solve many of the major cardiac illnesses. These include procedures that: reverse congestive heart failure and restore healthy cardiac function, avoid heart muscle damage following an acute heart attack, treat sudden death (cardiac arrest) to allow 80% survival and rare brain damage (compared to current 15% survival and 50% brain damage in surviving patients), prevent the large muscle in the middle of the heart (the septum) from being almost routinely damaged during many successful heart surgeries, improve pacemaker effectiveness, and uncover why the helical heart muscle causes normal and abnormal cardiac performance. But despite these findings, the medical establishment refuses to listen. These traditionalists continue to resist embracing new solutions. There are few families that will not experience a loved one who suffers from one or more of these conditions. Congestive heart failure alone touches 5 million people now just in the U.S., its devastating effects dramatically reducing the quality of a person’s life and leading to early mortality. Simultaneously, these illnesses burden individuals and our economy with astronomical costs – because medical science at present doesn’t correct the causes of the diseases – it only treats the symptoms. Fortunately, there are solutions to these leading cardiac diseases that have been proven clinically in patients in the United States and internationally. A revolution is needed in health care. These writings provide the answers required to accomplish this. 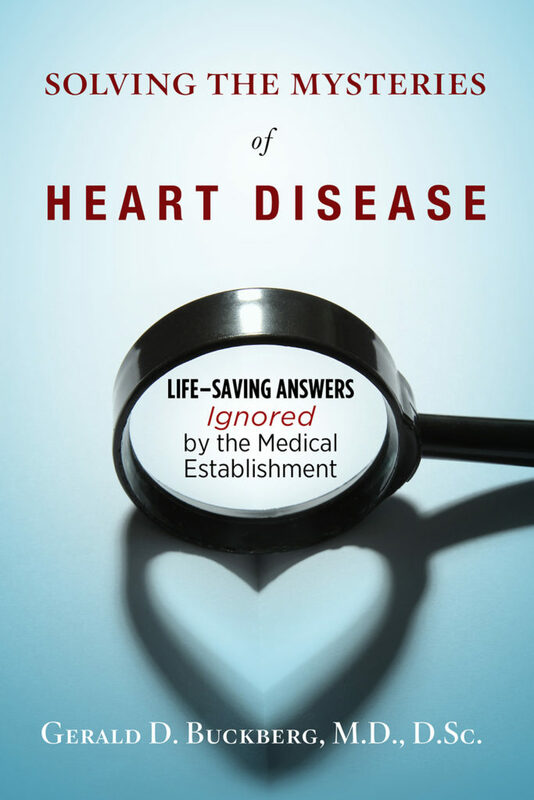 Dr. Buckberg has written this book to inform the lay public that cures to many of the most prevalent diseases of the heart have been found and proven, but are yet to be adopted. Those answers exist – now.